There are lots of people who say that you shouldn't keep a protective style (sew-in) in your head for more than 2 months at a time. This may be true for some, but for me, I believe that you can keep a protective style in longer IF you know how to take care of your hair while doing so. This is month 2 that I've had my sew-in and I wanted to share with you all my top 5 tips for maintaining your hair under that protective style. 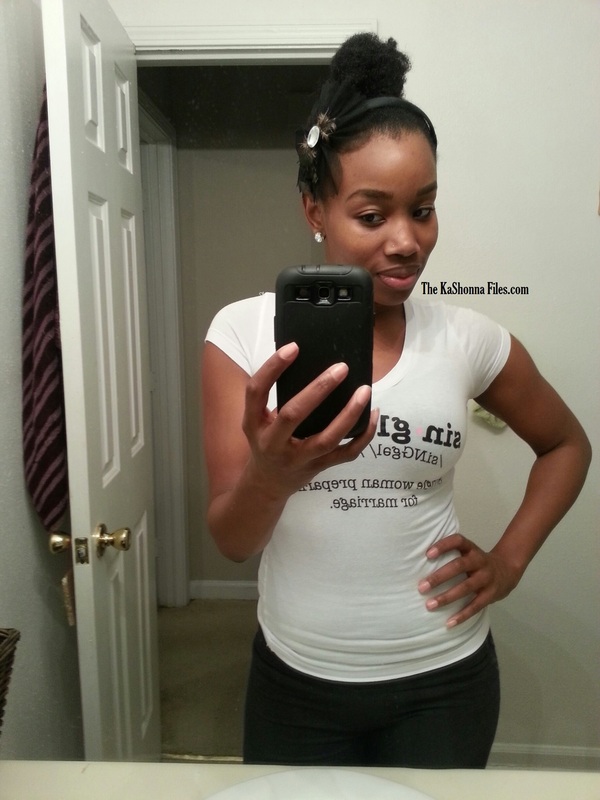 Make sure that you leave out your edges (front, side & back) to prevent breakage. These areas are the most sensitive part of your hair and excessive stress can prevent growth. Get a protective style that matches your hair type/texture as close as possible! If you are a natural and leave out your edges and you install silky straight hair, you will tend to flat iron your natural hair so that it "blends in". Excess heat will cause breakage and minimize growth. Remember the point of a sew-in is to PROTECT your hair from damage. If you want a specific type of texture that your natural hair doesn't match, try a lace closure (that's what I have), works perfectly!! Moisturize your hair (and new growth as it comes in) with natural oils and/or liquid moisturizers (leave in conditioners are great). Make sure that you use a spray bottle and distribute evenly with your fingers. Wash your hair at least twice a month with a clarifying/hydrating shampoo (Giovanni has a great one). Make sure to take your time and go through each braided section. Make sure that you rinse thoroughly to ensure that your hair is free of shampoo and sit under a hooded dryer (to help minimize the chance of mildew in your natural hair). 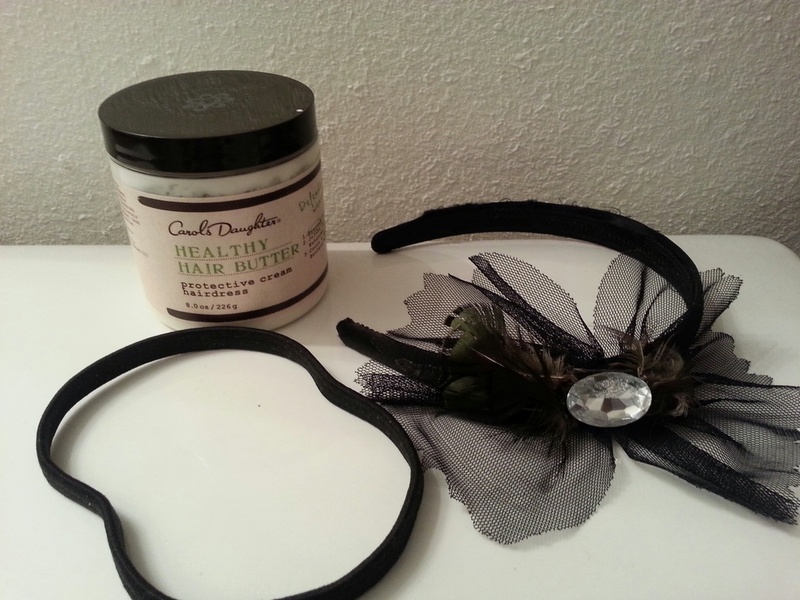 As you would do with your natural hair, protect your install at night by using a satin bonnet, scarf or pillow case. Every one knows their hair and what works for them..... These are things that I do to my hair every night to ensure that my natural hair is taken care of and to preserve the life of my install. For me, this keeps my hair healthy every time I take down my sew-ins. Here is a simple, quick and cute hair style to try if you're having a bad hair day, have a holiday hair appt coming up or you just don't feel like doing your hair. This is my "go-to" style! I used the healthy hair butter to moisturize and seal my ends (about a quarter sized amount). I gathered my hair (a little past the crown of my head) and used the elastic band to secure my hair and make a bun. I wrapped the band twice around and then the third time I made the bun. I put the head band on to add a little fun and accessorize the style. And THAT'S IT!! This style took no more than about 3-5 minutes and I'm out the door! Have you tried this style before? A few weeks ago, I attended the Cocktails & Curls event by Natural Hair Freedom where naturals from all over the ATL (and surrounding areas) got a chance to mix and mingle and check out products from natural hair companies, beauty distributors and jewelry/accessories owners. 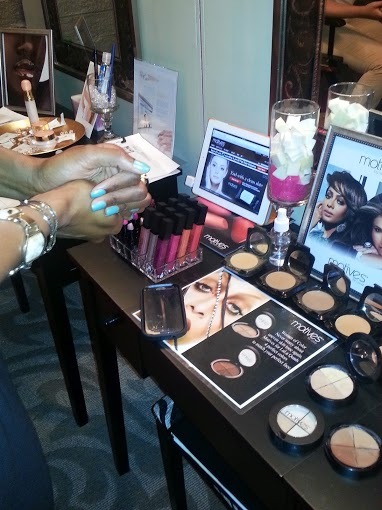 Sponsors included Karen's Body Beautiful, Natty Coco, Motives by LaLa Anthony and more! The event was jam packed and definitely a great time! Last Thursday, I was invited to the Curls & Cocktails event put on by Curls founder, Mahisha Dellinger for the launch of her products in Walmart stores. Mae (aka Natural Chica) was the host for the ATL event and many natural curlistas from all over the city came out. Ladies enjoyed Curl swag bags and cocktails as we dished about all things hair, beauty and how to properly use and get the best out of the products. Some ladies even won prizes from the Curls line for answering questions or having the most unique look. Take a look at some of the photos and fabulousness from the event!